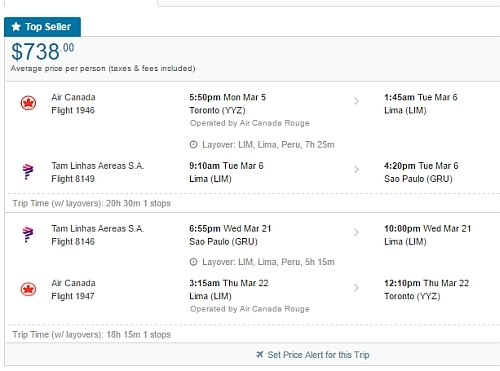 Air Canada and TAM have dropped the price of one of their flights from Toronto to Sao Paulo, Brazil down to $738 CAD roundtrip including taxes. The flights have 1 stop in Lima, Peru each way (7 hour stop on the way there, 5 hours on the way home). 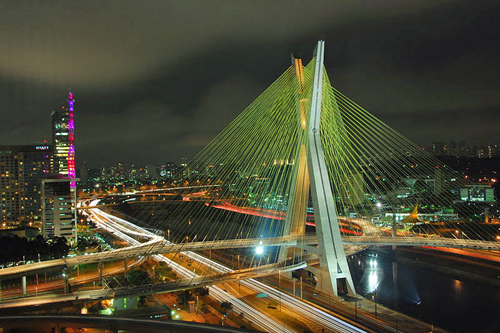 toronto, yyz, flight deals, air canada, south america, brazil, sao paulo, gru, sao and tam.